Lesbian and gay activists have called on The East London Mosque and its adjoining London Muslim Centre to prohibit homophobic speakers on its premises. 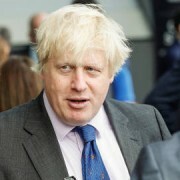 The move has re-ignited controversy over the issue in Tower Hamlets with allegations being made by different groups of both anti-gay Muslim extremism and Islamaphobia. 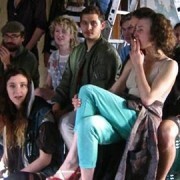 The latest furore follows an open letter posted online by 12 LBGT campaigners, including writers Julie Bindel and Paul Burston, which lists a series of events hosted by the East London Mosque allegedly attended by anti-gay Muslim clerics. These included Abdullah Hakim Quick, a supporter of the death penalty on gays and Abdul Hattin who incorporated a ‘Spot the Fag’ contest into his sermon in 2007. The letter follows the recent conviction of 18-year old Mohammad Hasnath who plastered ‘gay-hate’ stickers across East London, calling for the death penalty on homosexuals; Westminster Magistrates fined him just £100 for public disorder. Last month, four men were convicted of a brutal attack on a religious studies teacher, because they disapproved of his teaching. At the weekend, the Sunday Telegraph reported what it claimed to be number of previously unreported cases of hate crime which it claimed suggested police were allowing Muslims to ‘Islamicise’ an area of London. 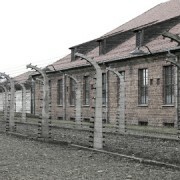 Reporter Andrew Gilligan cited several examples of Muslims and non-Muslims being threatened or ‘brow-beaten’ because they have been deemed to breach fundamentalist Islamic norms. The report claimed police had delayed releasing CCTV images of Hasnath, who was quickly identified once they were made public. In their open letter, the gay campaigners claimed Hasnath was part of a wider campaign to intimidate gay people. It said: “There is a strong feeling that homophobia is being covered up, or ignored, in order not to ‘endanger community relations’. The campaigners said that while the East London Mosque and the London Muslim Centre had distanced themselves from the sticker campaign, they had “hosted numerous hate preachers who have promoted the most vicious homophobia imaginable over the years”. Homophobic crimes in the borough have risen by 80 per cent since 2007/8, and by 21 per cent over the last year, compared to an increase of 26 per cent across London. Although boroughs such as Kingston-on-Thames suffered high percentages increases, the actual number of homophobic crimes was low compared to areas such as Islington or Camden. However other groups, such as the Islamaphobia Watch website, have countered that the rise only mirrors the situation across London. It also pointed out that when the Pink Paper reported the story, Tower Hamlets didn’t even rate a mention; the Pink Paper also recently voted the Met best police force in their Readers’ Awards 2011. Islamaphobia Watch have criticised the LBGT campaign as playing into the hands of right-wing groups such as the English Defence League. 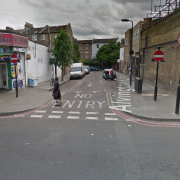 In a statement, the East London Mosque claimed to have no responsibility over those who spoke there and said it was opposed to the ‘gay-free zone’ campaign and homophobia. 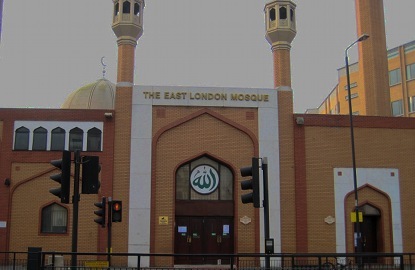 Salman Farsi, a spokesperson for the Mosque, told East London Lines that the mosque has never knowingly hosted any speaker linked with hatred and extremism. Except from one incident – by Abdul Hattin during a third party-booking in 2007 with his unacceptable homophobic slur – Farsi said none of their speakers said anything extreme or controversial from their mosque or centre. The mosque publicly condemned these remarks; Hattin has never been allowed to return. 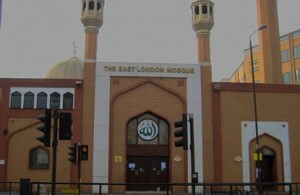 The Mosque pointed out that it had condemned the attack on the teacher and that it worked with a wide range of local groups in East London to tackle problems such as extremism, including the Tower Hamlets Interfaith Forum, Tower Hamlets Council, the Metropolitan Police and United East End.